We’ve all gone duo? Since Keith and Donna Godchaux, the husband-and-wife package deal who were members of the Grateful Dead for the better part of the Seventies, are almost always thought of as one, I figured they’d qualify. Certainly they fit the underdog ethos of this series. There is a lot of attention on the Dead this summer, with a high-profile series of 50th anniversary shows at Chicago’s Soldiers Field stadium on the July 4th weekend, and all the various magazine cover stories, video tributes, memorabilia etc. I have a feeling not a lot this will figure in the Godchauxes, even though I’m sure they are fondly remembered by many Deadheads. Their story is a bit unusual, even with the “long, strange trip” aura that surrounds the band. In the more accessible days of the early 70s, the couple basically talked their way into the group (see the Donna G. interview clip below) even if the two of them did not appear as naturals to join. The Alabama-born Donna was a former Muscle Shoals backup singer who moved to San Francisco but was unimpressed on first hearing the “druggie” records of Jerry Garcia and Co. but became a convert after seeing a particularly great show at the Winterland ballroom. Her new husband was also reluctant at first. Keith was a Bill Evans-inspired jazz pianist who didn’t go much for the rock epoch of the day. But he came around as well after agreeing to go to a Dead concert with his “old lady” and some friends. The couple’s timing was fortuitous. Founding member Ron “Pigpen” McKernan, who played organ as well as harmonica while singing the Dead’s blues numbers, was in poor health (he died in 1973) and unable to keep up with the band’s rigorous touring schedule. So it was not unusual that the we-got-our-own-album-to-do bug hit them during one of the Dead’s sabbaticals. 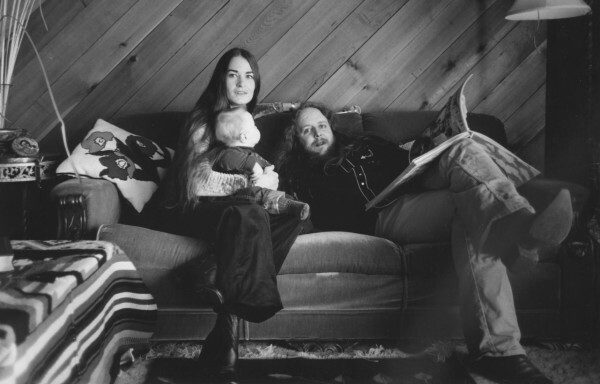 The group had their own label by then (Round Records) and the Godchauxes, who had a baby son named Zion, turned part of their Stinson Beach house into a temporary studio. Garcia, who lived around the way, played all the guitar parts and in return the couple helped him out on some subsequent dates with the Jerry Garcia Band. There are a lot of Dead-related solo records and side projects out there and unfortunately this one quickly got lost in the shuffle. It’s not exactly the second coming of “Beggars Banquet” but it’s a likable helping of Marin County Mellow, undermined by a lightweight production and a couple of programming lapses. It opens with Donna’s too-deferential version of “River Deep, Mountain High” but once she finds her comfort (like on the Muscle Shoals-style zinger “When You Start to Move”) things pick up in a hurry. Keith, who never had a great singing voice, generally sticks to the keyboards, otherwise they could have more closely approached the Delaney and Bonnie brand of soulful rock. The album wraps up nicely with the six-minute plus “The Song I Sing” which gives Jerry a little room to stretch out on lead guitar. In the latter half of the Seventies, things started going south for the couple. Keith’s hard drug use and their domestic troubles were part of it, and stylistically they were not fitting in as well as before. Donna’s vocals, so strong in her FAME Studio’s framework, became, in the modern parlance, “a little pitchy” when trying to keep up with the Dead’s higher-flying excursions. They mutually parted ways in early 1979. Brent Mydland replaced Keith; Donna was destined to remain the only woman member in the band’s history. Before the couple could fully re-group, Keith died in a car accident in July 1980 at age 32. 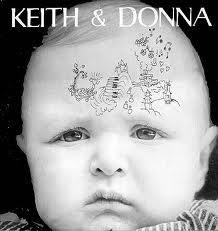 Donna is still performing while Zion, whose adorably scowling infant self appears on the “Keith and Donna” LP, currently plays in the band BoomBox. This album has never appeared on CD and was uploaded to YouTube 8 months ago by Tony Sclafani, an author of a Grateful Dead book, and has received 1260 views as of this writing. I’d say it deserves better.